With the mother of all superhero movies, 'Avengers: End Game', just one month away, the hype is at an all-time high. While the excitement is definitely there, Marvel has been uncharacteristically quiet about this movie. The trailers didn't reveal much, the official synopsis offered even less (you can read it here) and for One Above All sake, there aren't even an official, proper look at our favourite superheroes. 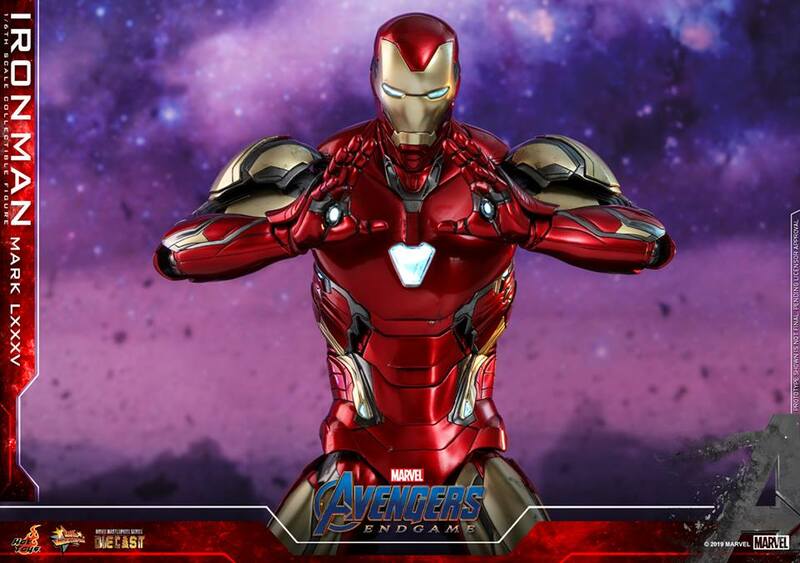 Popular collectible manufacturer Hot Toys has just unveiled their newest 1/6th scale Iron Man figurine, and it gives us the most detailed look yet at the armour everyone's favourite Avenger will be donning in 'Endgame'. 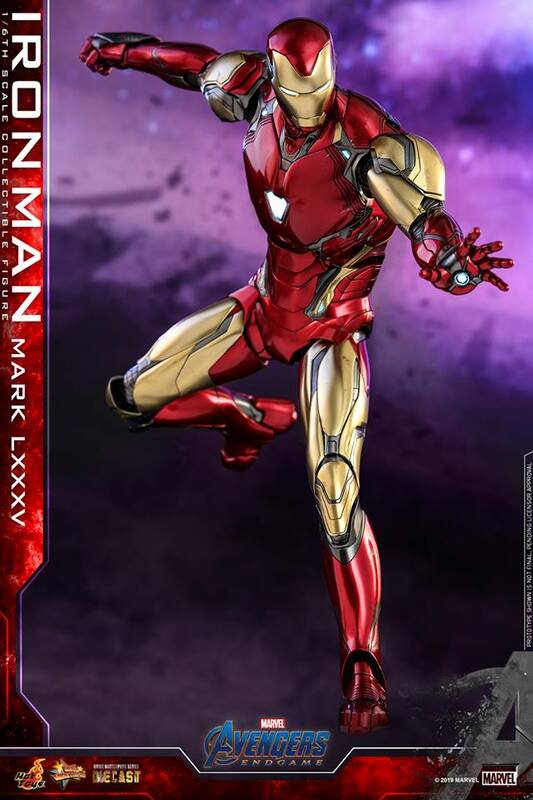 The armour, called the Mark LXXXV (or Mark 85, if you have problems with Roman numerals), looks almost identical to the nanotech Mark L suit he wore in 'Avengers: Infinity War', except for a few minor changes. For one, the Mark 85 has gold upper sleeves, which is a nod to the fan-favourite Mark II armour from the Marvel Comics universe. 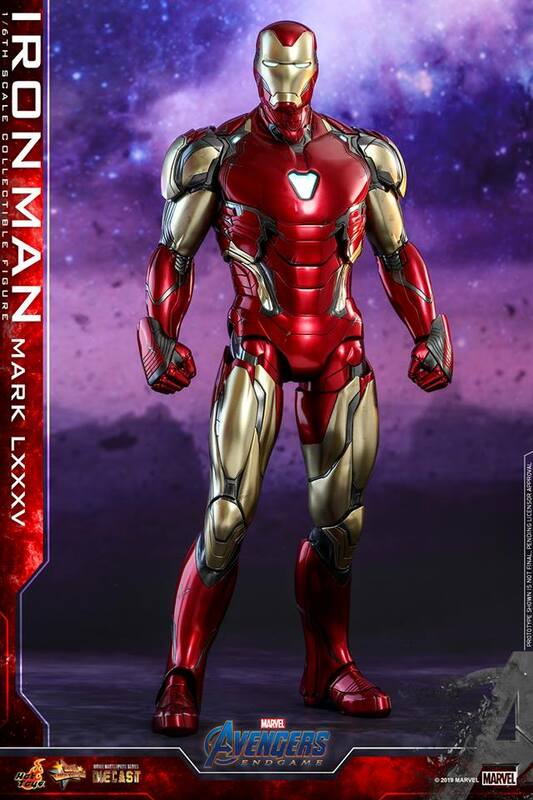 Judging by the photos, the new armour also looks slightly bulkier and less sleek compared to the Mark 50 suit. It also boasts two shoulder guards, something that weren't present in the older armour. Does this mean that Mr Stark is ditching nanotech and settling for old school titanium? Considering that Thanos totally ripped his armour apart in 'Infinity War', it's actually not a bad idea. 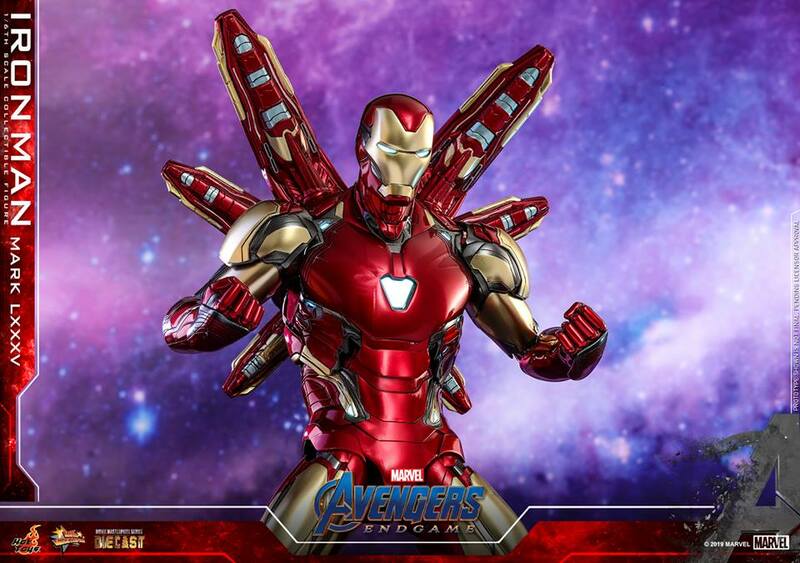 Also noticably different are the thrusters at the back of his suit. While the thrusters were used for flight in 'Infinity War', the ones in the Mark 85 look like they serve a different function. 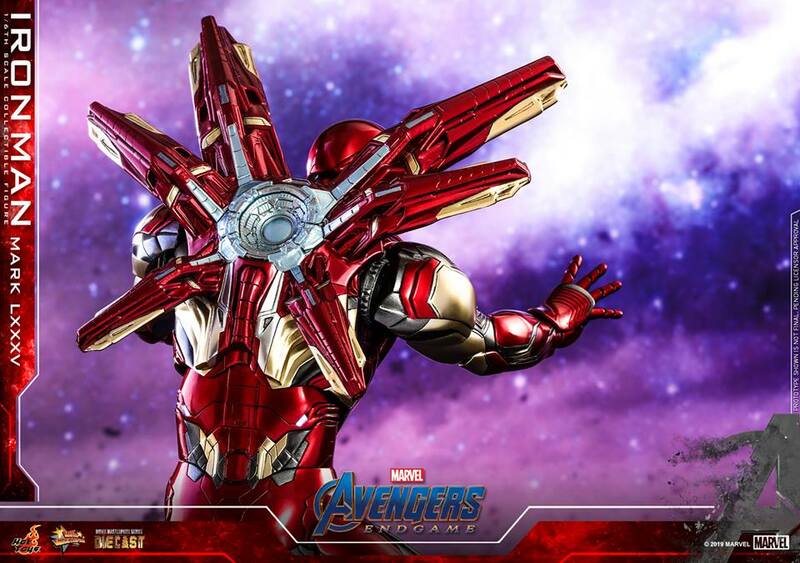 The new thrusters are supposedly powered by what Hot Toys called the "Nano Lightning Refocuser", also known as that giant Facehugger-looking thing at the back of his suit. If it is indeed a more advanced power source, could that also mean that it could power the Proton Cannon from the Marvel video games? 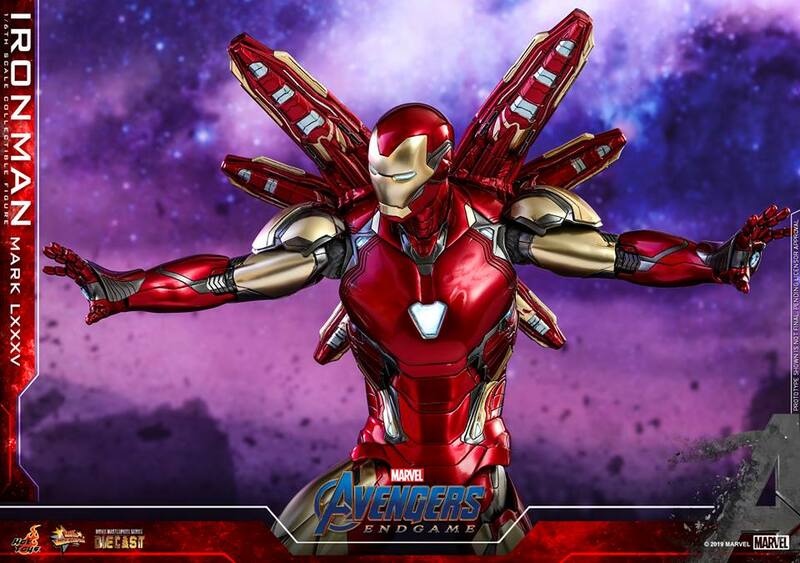 However, Hot Toys did not reveal what other weapons come with the Iron Man Mark LXXXV, but we are pretty sure Iron Man needs more than just hand cannons and cluster sentries to defeat Thanos. Now, the design of the suit may not be what it looks like at the end of the day, but Hot Toys has a reputation of crafting true-to-the-movies figurines, so if there's anyone who knows what it looks like, it's them. 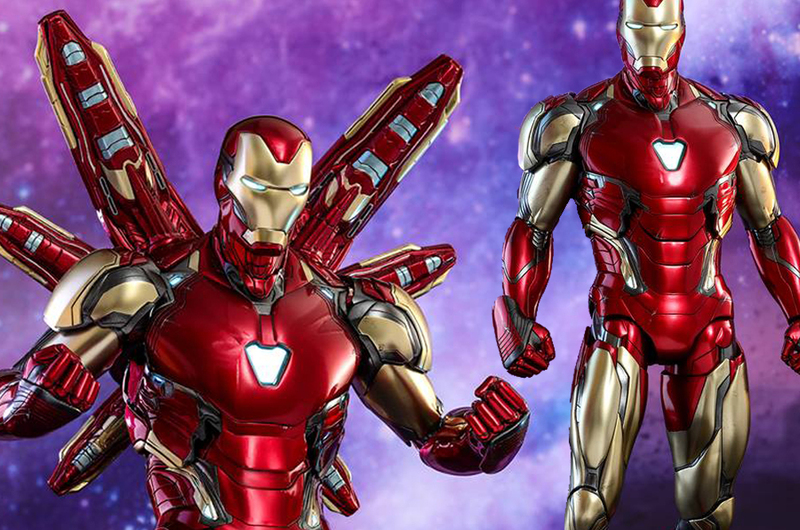 What do you think of Iron Man's new armour? Let us know in the comment section below.